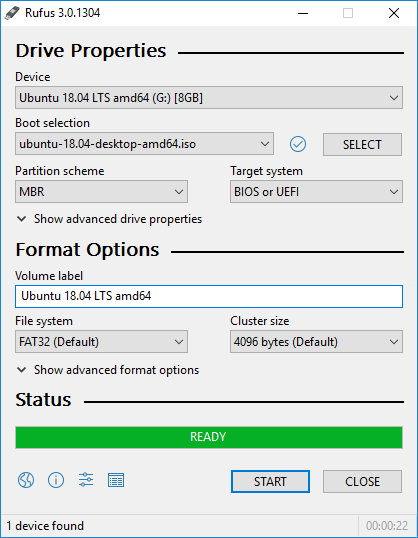 Rufus, or Reliable USB Formatting Utility (with Source), is a small and fast utility that helps create bootable external drives, such as USB keys/pendrives, memory sticks etc. The program is ideal for use with installation media from ISOs (Windows, Linux etc.) for working on a system without an OS, flashing device BIOS or other firmware, or you want to run a low-level system utility. How to extract: Download the "Portable" rufus-X.Xp.exe to a folder of your choice and launch. A notice about Legacy boot when trying to boot UEFI-only media in Legacy mode. Report the full PID and command line of potentially blocking processes in the log. Win7 x64 EFI bootloader not being extracted in dual BIOS+UEFI mode (Alt-E). The "p" in the rufus executible name makes it portable; otherwise, it writes to reg. Great program. Small footprint and quick. Good tool for formatting USB drives and for making USB drives bootable with ISOs or DOS.